Another Friday evening in late October, M25 totally gridlocked and still 10 miles of it to suffer before arrival at Swanley for “setting up” and hopefully managing to get to the Campanile Hotel under the QE Bridge approach before the bar closes – It must be ExpoNG time again, doesn’t time fly! This time the year 2014 formed an appropriate title for a selection of superb 0-14 layouts amongst the 18 top quality NG layouts assembled “amongst all the trade stands”. 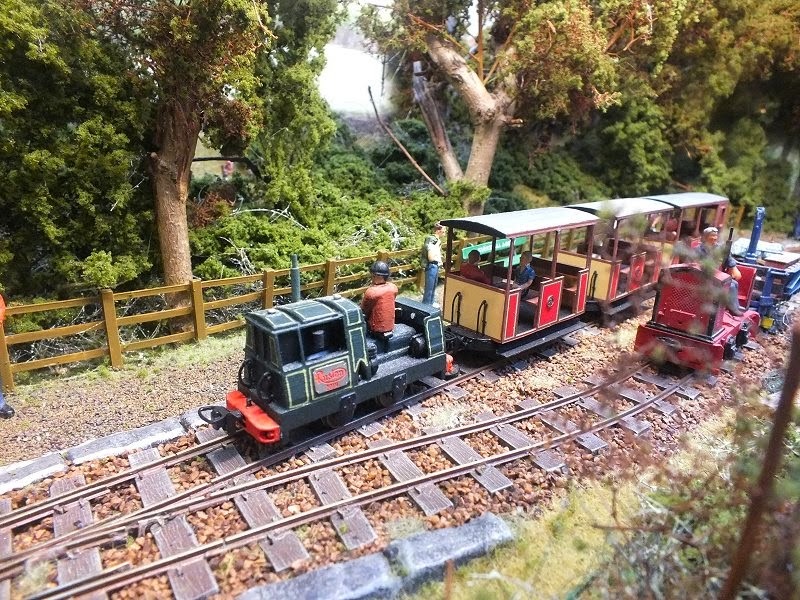 Once again the event was one of the main focal points of the year for like minded narrow gauge modellers from near and far to meet up and once again due to the number of photos I took I have had to split this report into 2 parts. A great day was had by all who managed to get there! 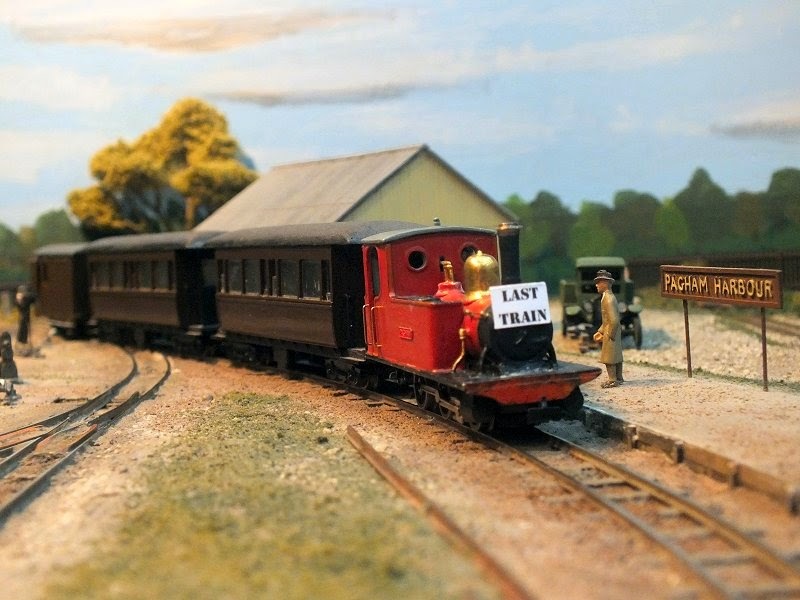 Part 2 continues with more layouts, including a special extended coverage of Richard Glover’s Pagham Harbour, which was being shown for the final time before being retired. Fortunately for fans of this splendid layout, it has now passed to the safe keeping of a very experienced 009 modeller so there is a chance that this was actually not the “final” showing of the layout. In order to provide photos which I hope has given viewers something of the experience of a day at ExpoNG, producing a report with over 200 photos and with captions as well, is very time consuming, but I have enjoyed this task and do hope that you enjoy it equally. I do hope to be able to continue to produce these photo reports particularly so that those who are unable to attend either through distance, health, or personal circumstances may be able to attend “virtually” via my photos.